Do you need 6 ways to get out of a slump –recharging your roadschool? Here is the best advice from the girls that live on the road with their families and have the experience and advice you need. In a world that lives so much under a microscope, it is easy to feel the pressure from the picture perfect homeschool days on social media. Kick that all to the curb. Examine what is really important to you and make a short list of things that you want to accomplish in your roadschool. Set bite-sized goals that you can knock out right away. 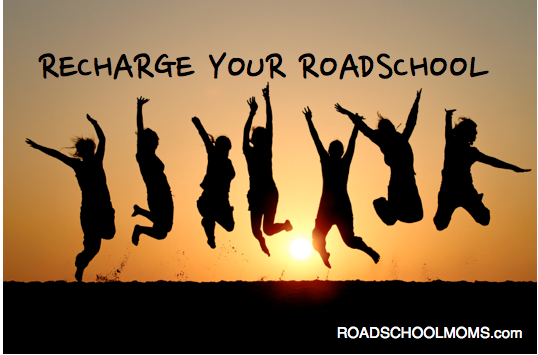 This is one of the best of the 6 ways to get out of a slump – recharging your roadschool! old aside and focus on some new ideas! Let’s talk about a super easy way to do this next! This is tip two of the 6 ways to get out of a slump – recharging your roadschool! 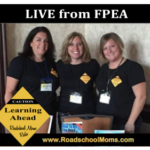 Even though we all know what’s best for our kiddos, there’s nothing at all wrong with letting them take the lead in your roadschool. Even if you are already an unschooler or follow less restricted lesson plans, put your homeschool days in the hands of your roadschoolers! Here’s an idea. Give each of your kiddos 3 popsicle sticks. Let them write something on each that they would like to learn about. Put them all in a cup and draw one out every day for the next several days and let your roadschool day travel to new places. No popsicle sticks? Use post it notes or tear paper in pieces and put notes in a jar. Swap kids! 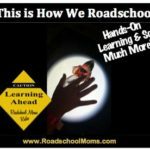 Join efforts with another roadschool mom or co-op group (if that’s an option) and trade kids with another homeschooler (not permanently obviously!) Sometimes kids behave better for others and let’s be honest, seeing your roadschooler through another’s eyes might enlighten you to something you’ve been missing. Or.. it just might be the break you’ve all been looking for! It could even lead to a fun day once a month to repeat the process! That’s right.. forget all the school routines and schedules you have in place and just plain go a different direction. Find a unit study and use it with everyone in your rig and see just how far you can take it. Pick one area or topic and incorporate all aspects of that topic and use it across all subjects. You’ll be amazed at the direction you may go! In the spirit of the new year, take some time to go through your curriculum. Organize what you are keeping. Donate what you haven’t touched or have no definite plans to use. This will refresh the materials in your roadschool and put your efforts in a whole new direction!